Cupcakes, bows, and polka dots...oh my! 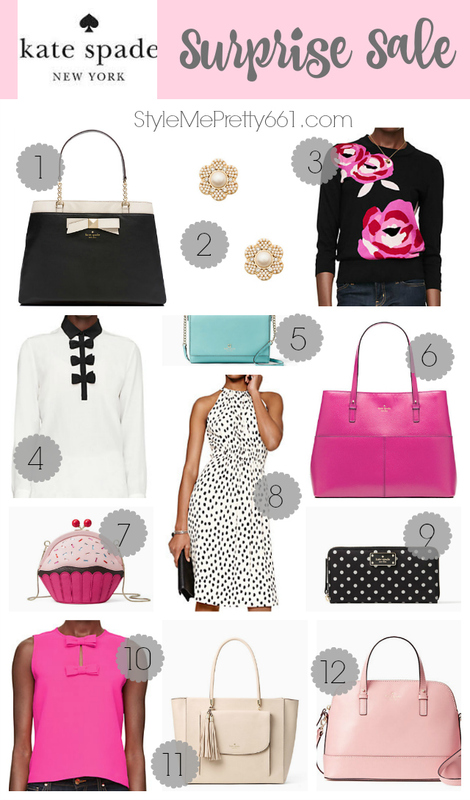 The Kate Spade Surprise Sale is currently underway, and I would be completely remiss if I didn't share it with you! Get up to 75% off plus free ground shipping to U.S. and Canada on all purchases of $175 or more. Hurry! Sale ends tonight at 11:59pm, PST. Sale is online only and all sales are final. Enter the sale here and key in your email address and zip code to start shopping. Items are already selling out fast, so snag what you love at an amazing discount before it's gone! I wear these earrings all the time; they're classic, timeless and look beautiful with any outfit. I love and highly recommend them, plus you can nab them for only $19! I've never seen them priced this low! Happy shopping! Let me know in the comments if you score any goodies!